Indie games have some original and strange sub-genres. Among the weirdest is the game that puts players in the role of something other than human. Think of something like Goat Simulator. Or if you really want to go outside the box, think of something like I Am Bread. One of the most anticipated off-the-wall indie games in the pipeline comes from the folks at developer House House, an oddball effort called Untitled Goose Game. Untitled Goose Game is just what it sounds like. Players take the role of a goose, who is untitled, and get into mischief near an average garden. Shacknews is always eager to get into goose-related shenanigans, so we went hands-on during this week's Game Developers Conference. 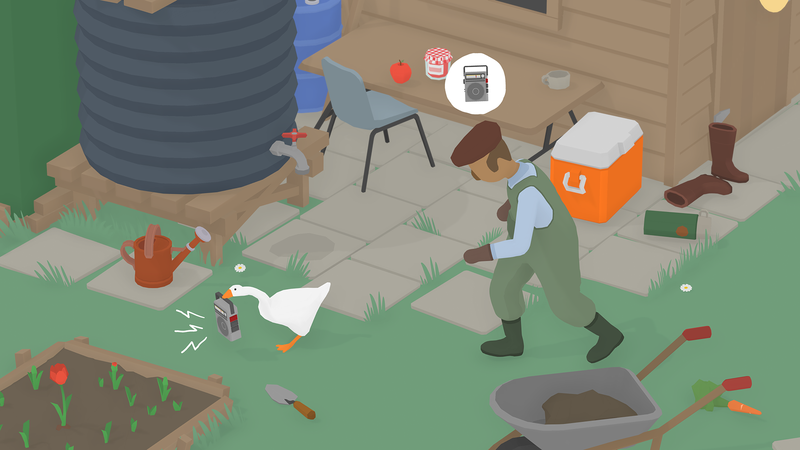 Untitled Goose Game gives players all of the power of an average goose. That means they can honk. They can bend down, craning their long necks. Of course, they can also be huge jerks. The demo puts players in an everyday garden, just a few feet away from a peaceful lake. The title goose can come out of its lake with all of the aforementioned abilities. That includes raising heck for the poor groundskeeper just trying to tend to his flowers and crops. But is this random or organized chaos? For this demo, it's both. Players soon find a checklist with various goals for their goose. That includes dragging a nearby rake into the goose's lake, stealing the groundskeeper's keys, and moving around enough crops to have a picnic. The groundskeeper isn't one to put up with the goose's nonsense. If he sees the goose, he'll boldly step to it and shoo it away. If he sees the goose grab any objects in the garden, he'll give chase. Sadly, there's no option to bite this guy with the goose's sharp beak. (On an aside, a goose's serrated tongue is a truly terrifying sight.) However, there is the option to be a general pain in his backside. Beyond quietly sneaking up and taking his stuff, one of the items on the checklist is to get the groundskeeper wet. This is where the potential for Untitled Goose Game shines, as players must figure out how to get the groundskeeper near one of the garden's sprinklers and turn the faucet at just the right time to give him the soaking of a lifetime. While the checklist is omnipresent, the crux of the Untitled Goose Game experience is indeed just messing around and causing mischief. It's not explicit property damage in the vein of Goat Simulator, but it's more good-natured troublemaking. It's easy to pile up the many things that the groundskeeper needs to keep in order, since the goose can move almost anything in the garden within reason. It should be fun to see how much bigger the goose's world gets, given how oddly relaxing it was to let out my inner jerk. Even after messing with all of the groundskeeper's stuff, it was fun to just honk in his face for about a minute straight. 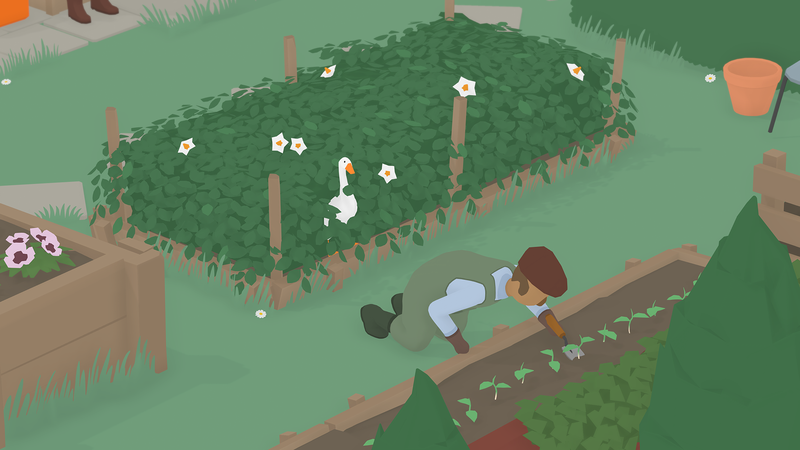 Untitled Goose Game is on our Most Anticipated Indie Games list for good reason. But sadly, it won't be ready anytime soon, with a delay recently announced. But look for Untitled Goose Game to release on PC and Nintendo Switch by the end of 2019.